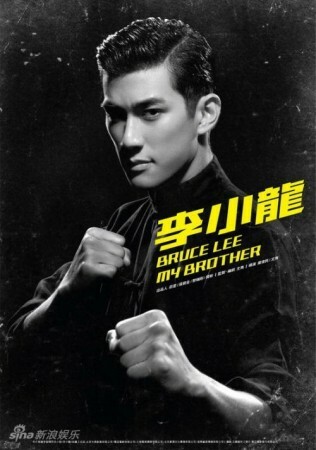 This is biographical drama on the earlier days of the legendary Bruce Lee before he moved to the United States. The film is written and produced by Robert Lee, who is the younger brother of the late revolutionary superstar (hence the title). It was released in conjunction of Lee’s 70th birthday. A number of popular veteran Hong Kong actors made cameo appearances to pay tribute to the legend. Verdict: Although the events in the story may not be 100% accurate, the film itself is still very well done in overall. True emotions and warmness among the characters can be felt. Brilliant display by most of the actors. However, do not expect to see spectacular action fighting scenes here. The movie is heavily focused on his relationship with his family and friends. The man who played Bruce: You may say that he does not seem arrogant enough to play Bruce but no one can disagree that his growling is almost identical. Meet 23 year-old physics graduate, Aarif Rahman Lee. He started out as a Cantopop singer in Hong Kong before becoming an award-winning actor. His father is 1/3 Malay.